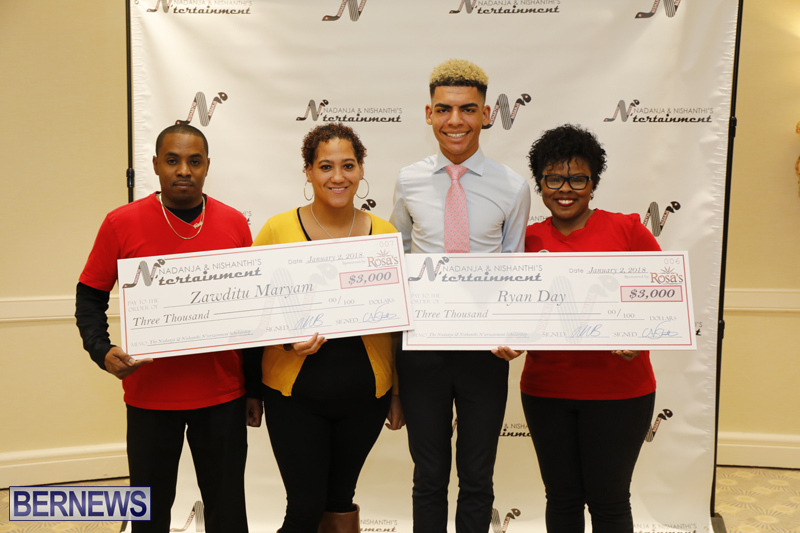 Local entertainers Nadanja and Nishanthi presented their annual N’tertainment Scholarships today [Jan 2], with Ryan Day and Zawditu Maryam both receiving $3,000 scholarships to assist in their educational endeavors. Ryan Day is studying Theatre Lighting Design at the Roya Central School of Speech and Drama, while Zawditu Maryam is studying Theatre [Specialization in Technical Theatre] at Acadia University. 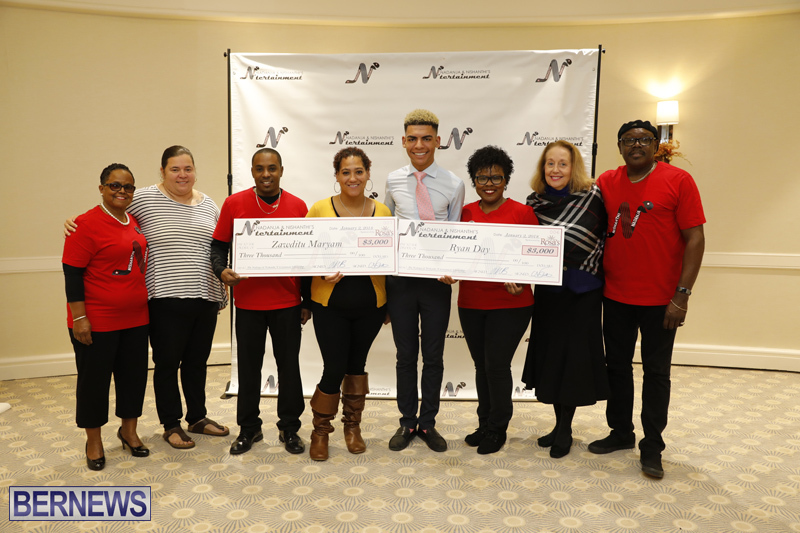 Founded in 2014 by sibling entertainers Nadanja and Nishanthi Bailey, the Nadanja & Nishanthi N’tertainment Scholarship supports the educational endeavours of college students pursuing a degree in the performing arts. 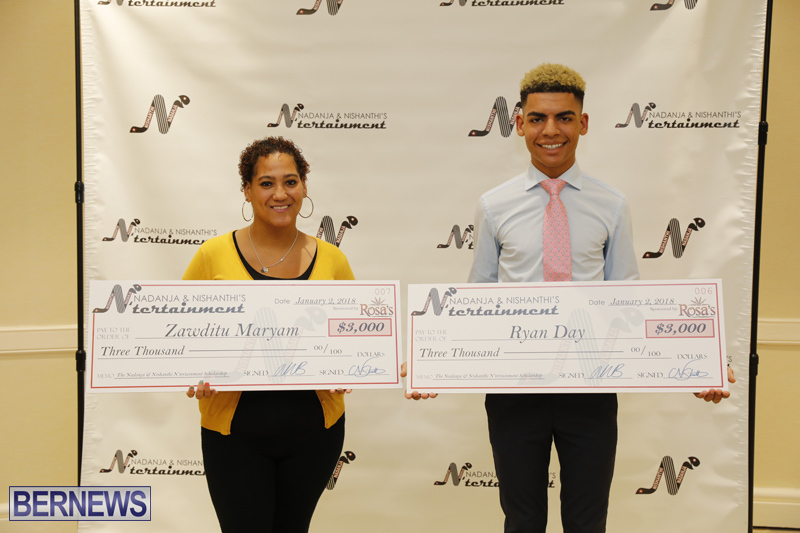 Since its inception, the scholarship has awarded over $15,000 to students studying in the areas of dance, music and musical theatre. Nadanja and Nishanthi are legit Bermuda gems. This is a wonderful story of how a few caring people can make a big difference – congratulations to these remarkable siblings and the chosen recipients of their generosity. It has often been said that one true measure of generosity is giving while getting and not waiting to get before giving. Lovely to see these young people being helped as they make their way in our world. Continued success to all involved. So happy for both the givers and the recipients. Lovely story. What a great duo! Thanks for all you do in the community to make a better Bermuda! True gems. Continued success for them and congrats to the well deserved receipients.